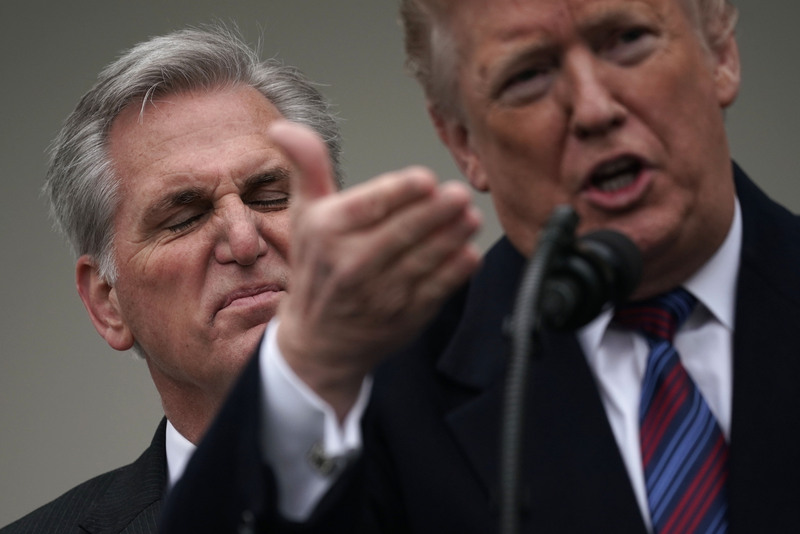 House Minority Leader Kevin McCarthy is not behind the Trump administration’s latest move to overturn the Affordable Care Act (ACA), according to a report from Axios. President Donald Trump’s Justice Department concurred Monday with a federal judge’s determination that the framework of the ACA, also known as Obamacare, is unconstitutional. Trump upped the ante Wednesday when he told reporters in the Oval Office that “we’ll have a plan that is far better than Obamacare” if the ACA is overturned. McCarthy had declined to comment on the Trump administration’s latest ACA move, which could be the first step in a journey to the Supreme Court that would help Trump fulfill his campaign promise to get rid of Obamacare. “Just call the office and we’ll follow back to you,” McCarthy told reporters when asked about the Trump administration’s concurrence Tuesday, reported The Hill. “But I think the president has always been very clear that he wanted to repeal Obamacare and put a system in that actually lowers the cost, protects individuals’ pre-existing conditions and have a health care system that works that has a relationship between the patient and the doctor,” McCarthy continued according to The Hill. Many within and outside of the Republican party questioned the Trump administration’s decision to switch gears to health care just days after the long-awaited news from the Mueller investigation that Trump celebrated Sunday. The party may not be ready to rebrand itself as “The Party of Healthcare” as Trump wrote on Twitter Tuesday just yet, namely because it has put forward no alternative to the ACA. McCarthy’s office did not immediately respond to request for comment when contacted by The Daily Caller News Foundation.